Sharp tools are necessary for good workmanship. 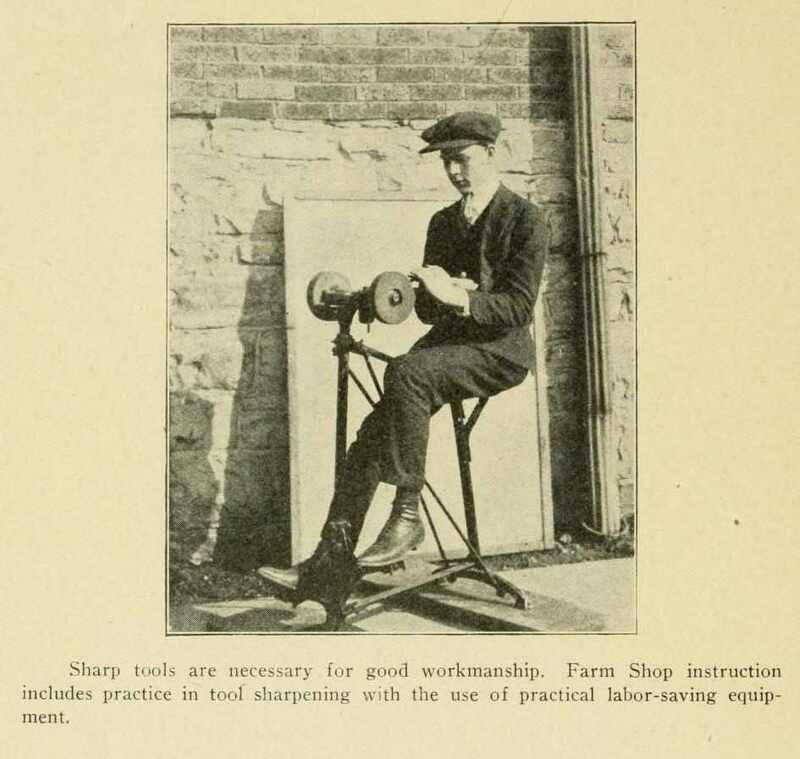 Farm Shop instruction includes practice in tool sharpening with the use of practical labor-saving equipment. Can You Find The Errors In The Woodworking Operations Shown At The Left?